I didn't try a shock version of Arc, increasing the effect of the shock it should be good, but I dont know exactly how to build it. I preferred Devoto's for the Momevent Speed, also because I'm using Kaom's Roots. I like Memory Vault and also Mind Spiral. Why Devoto? What is that for? I started to play Devoto's for the 20% Movement Speed, that is a good combination with Kaom's Roots also. That is the main reason. Also you can find it with Arc damage, more Chains or other good Enchantments, easier than other helms. Also you have Chaos Resistance, Dexterity (can be good if you use Sai dagger that requires 121 dxt), attack speed for whirling blades, 500 Armour, 700 Evasion (if don't use Kaom's Roots). So, good versatile stats overall, not a must have ofc. first of all thanks for that amazing guide, I really like the build and the guide was a pleasure to follow. Critical Strikes is usually between 5% (min) and 95% (max), 100% Crit of the gems are different, they are not referred to the total, but to a % incresed of the base crit chance, that for Arc is 5% for example, but you can't go below 5%. You could ask in other more appropriate sub-forums, for more details on game mechanics. shaper dps is increased from 1490k to 1760k, 1980k with legacy enchant, maybe 2500k with flasks. I don't use pob for dps, I calculate it by myself. About same hp and mp, no overcapped res, negative chaos res, less armour, 18% more dps. I think it's all good. I'm tryng some guardians, next will be uber elder and atziri. I think I reached the top dps, with this build and helmet. 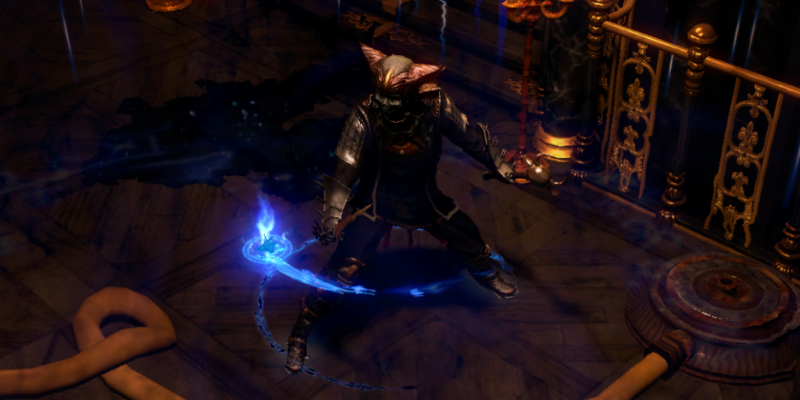 Should I change the helmet, for better stats? I could gain some life and mana, and some damage from helmet (added lightning dmg), gloves (faster casting), belt (dmg during flask effect), probably. Tree is very different from before, prepare your Regrets, I removed 3 Power Charges, and I gained DPS. I would not have ever expected, but this happened. Mainly I gained a good Jewel and more than 100% critical strike multiplier overall. Taking Arcane Potency and Throatseeker. I lost some life and mana regen anyway, but I kept my mana pool. We are about to 2,5M DPS now, maybe 3,5M with the flasks. If consider we started with 800k at the start of the 3.3, we had a lot of improvements, tree, items and overall setup. 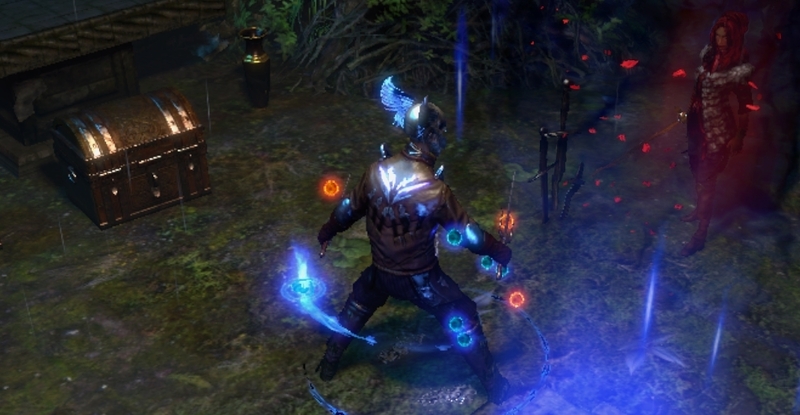 I compared my build with another on the forums, with the the Atziri's Shield and Soul Mantle. That is very cool build, with highest DPS (mainly because of 1 extra totem), and potentially it has also more dps with very good rare boots, helmet and gloves. Anyway, the combination of Kaom's Roots and Loreweave is my preferred option atm, both uniques are very good for mapping and bosses. Uber Bosses soon. Just found a bug in tooltip DPS and tooltip Cast Speed. They don't count the 30 less Cast Speed of totem gem. So the real DPS is lowered than my calculations of 30%. Just verified that PoB is right instead, it gives 1747k DPS, considering 4 totems, while my calculations, starting with DPS tooltip and considering 30% less damage give me 1710k now. So, we can take PoB DPS for the guide. ...a bit better, and dark!